"We expect the program to be an incredibly popular option for well-informed borrowers, and in turn, a significant boom for mortgage originators," said United Wholesale Mortgage CEO Mat Ishbia. In addition to a required 20 percent down payment on the cost of a loan, UWM will only accept borrowers with minimum FICO scores of 720 and a 42 debt-to-income ratio to participate in the interest-only program. Borrowers will be required to begin paying down the principal of the loan after 10 years. UWM is making interest-only financing more mainstream by broadening its reach to mortgage brokers, correspondents, small banks and local credit unions throughout the country. Large banking institutions have widely offered this option, but mostly restricted its availability to jumbo borrowers. By making the interest-only financing option available to qualified borrowers through mortgage brokers, UWM continues to elevate the value that brokers provide in the mortgage industry and raise awareness of their benefit to borrowers. Further, the availability of alternative financing through the wholesale channel strengthens the ability of brokers to help a broad range of qualified borrowers achieve their dreams of home ownership. 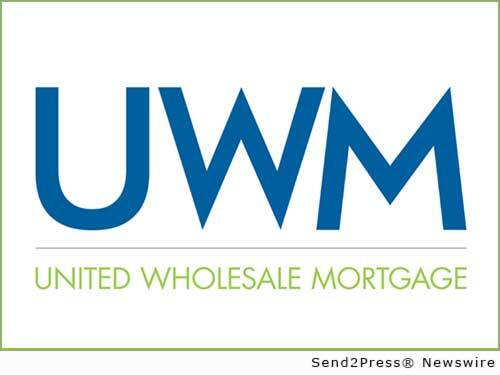 Headquartered in Troy, Michigan, United Wholesale Mortgage (UWM) underwrites and provides closing documentation for residential mortgage loans originated by mortgage brokers, small banks, local credit unions and correspondents. UWM provides unparalleled service with its deep understanding of the mortgage process using its talented team of account executives, underwriters, closers and funders, who have years of experience with intricate knowledge in wholesale. UWM’s positive teamwork and dedication to exceptional client service has resulted in continued success and growth that has spawned expansion. Original Keywords: CEO Mat Ishbia United Wholesale Mortgage Troy Michigan TROY, Mich.
REFERENCES: Banking News, CEO Mat Ishbia United Wholesale Mortgage Troy Michigan TROY, Mich.